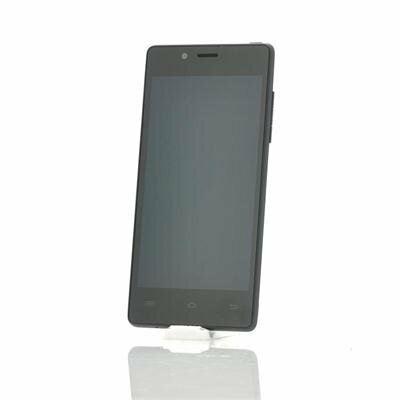 Successfully Added 4.5 Inch QHD OGS Screen Android 4.2 Phone "EBEST Z5" - MT6589 1.2GHz Quad Core CPU, 8 Megapixel Camera, 3G (White) to your Shopping Cart. 4.5 Inch QHD OGS Screen Android 4.2 Phone is phone that lets you network with futuristic mobile technologies such as a MT6589 1.2GHz Quad Core CPU, 8 Megapixel Camera as well as 3G connectivity. 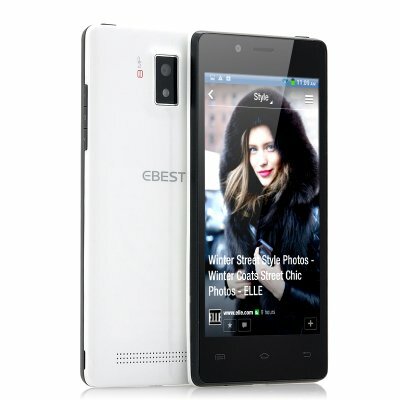 Step into the future with this highly attractive and exceedingly advanced mobile phone, venture with the “EBEST Z5”. Straightaway you will be allured to the 2.8mm from screen to edge ultra-narrow frame and the 7.9mm body thickness that the “EBEST Z5” models. This conveniently sized cell phone has a 4.5 inch quality high definition display that offers a fantastic visual bliss due to having a resolution of 960x540. Another great benefit of the “EBEST Z5” and the reason it can be so slim is that it uses one glass solution or otherwise known as OGS. OGS is a touch screen technology that reduces the thickness of the display by removing one of the layers of the glass that you would find with traditional capacitive touch screens. The “EBEST Z5” aims to have the best of everything and it certainly does when it comes to operating systems as it comes with Android 4.2. Android is extremely popular and the current number one operating system as it provides the uses with a simple to use interface but allows for fully customization. Plus the “EBEST Z5” Android phone also supports Wi-Fi and 3G connectivity so the user can log on from almost anyway on to the internet and surf as well as download applications from the pre-installed Google Play store. Engulfed in the “EBEST Z5” phone’s sensual white body is a mighty, growling MT6589 Quad Core CPU, which is a powerhouse of a processor as it can reach speeds of up to 1.2GHz. Applications that you have installed will easily be dealt with by the “EBEST Z5” quad cores, which make this cell phone faster, more responsive and a lot more efficient than regular dual cores and single core phones. Take photos or record videos because the “EBESTZ5” has an 8 megapixel rear camera and a 5 megapixel front camera, which can be expanded to 8 megapixels visa interpolation. Whether you are taking photos of majestic sceneries, recording your friend doing a 450 degree somersault from the roof of your house or engaging with your mail order bride in another country, the “EBEST Z5” cameras will assist. Touch the future with the excellently manufactured Android mobile phone that is known as the “EBEST Z5”. This product is in stock and can be dispatched within one working day of ordering with a 12 month warranty. Brought to you by the leaders in wholesale electronics and Android cell phones, Chinavasion. I'm glad for buyng this smartphone EZ5, it's a very good phone ultrathin, useful with smart size. Few days for delivery. courier fast, correct and polite. Set up is not more simple, it needs some time and patient.